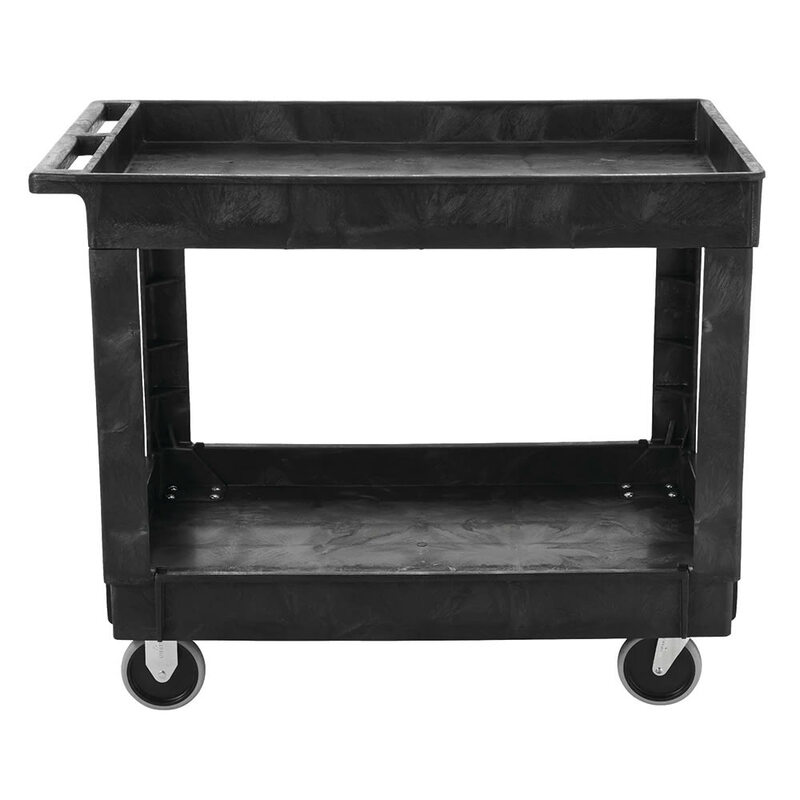 The Rubbermaid FG9T6700BLA utility cart has a black polyethylene exterior that resists scratches and is supported by its foam construction. 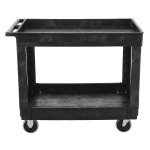 It will not leak, dent, rust, chip, or peel and has a 500-pound capacity on its four 5-inch casters. Its two deep-pocket shelves can hold various items. To learn more about carts, check out our cart buyers’ guide. "Used in a warehouse setting and has been quite durable!"